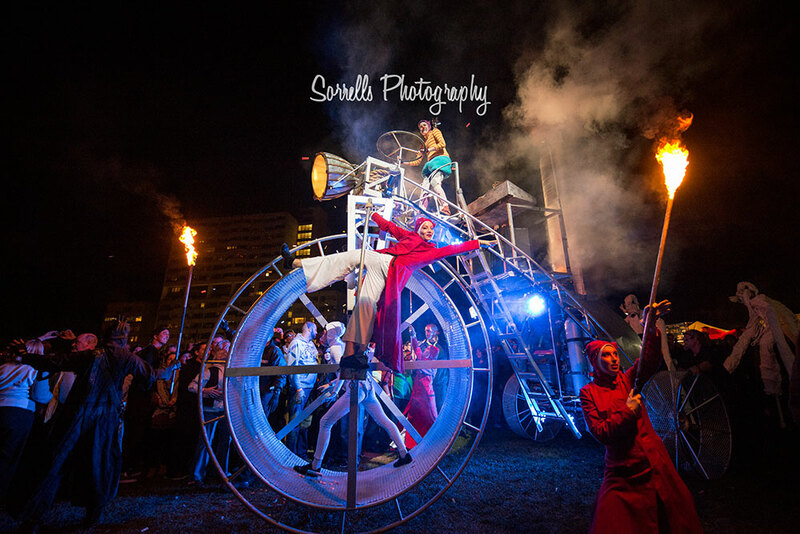 In the tradition of large-scale European street theatre we present TRICYCLE. 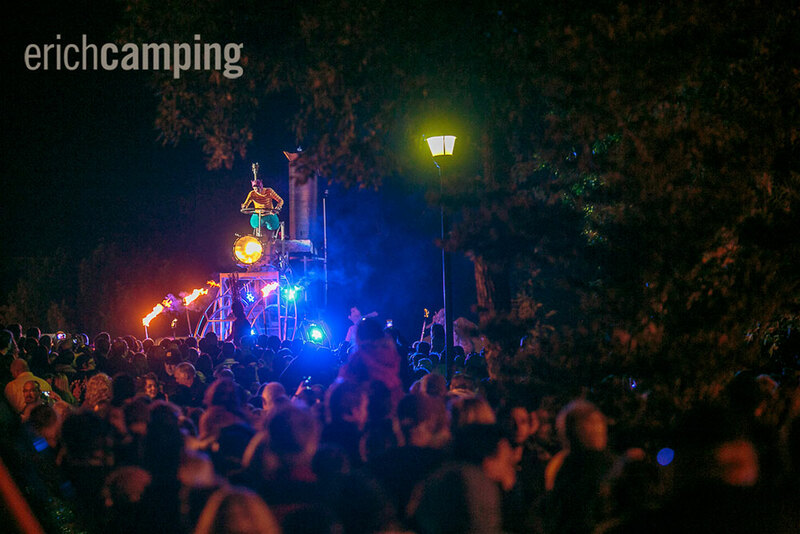 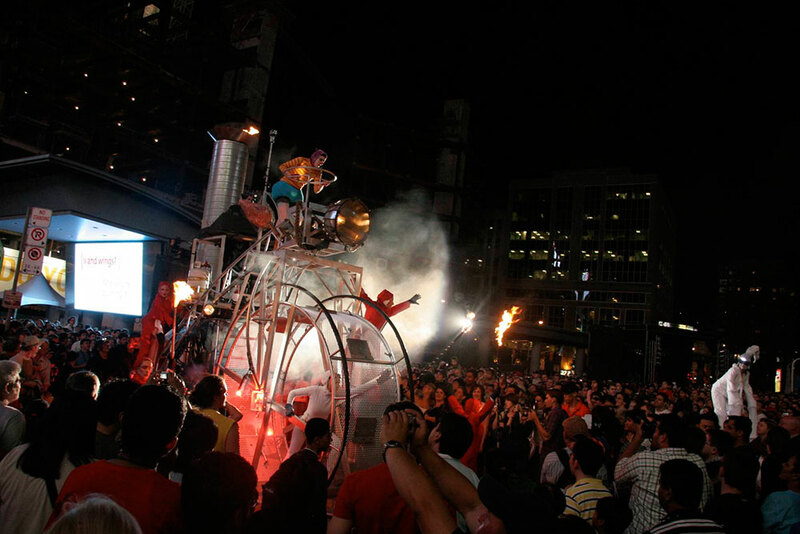 This show is a nomadic journey through public space by an ensemble of character performers and magnificent machines. 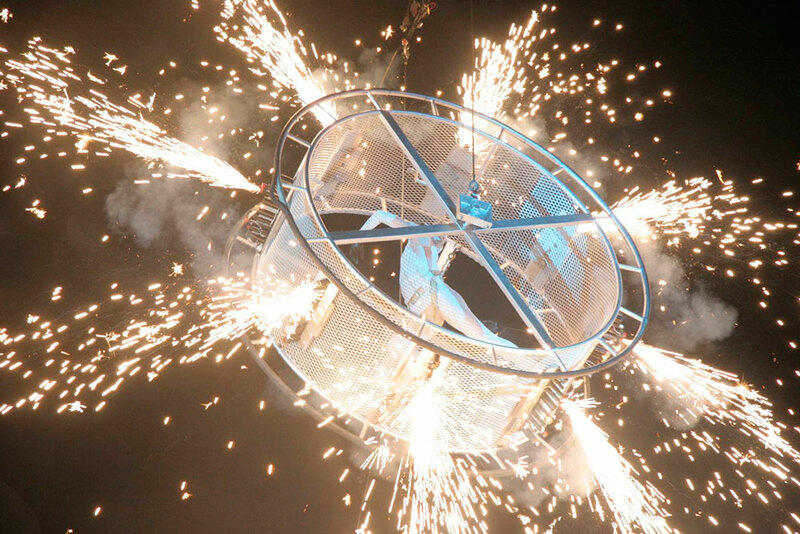 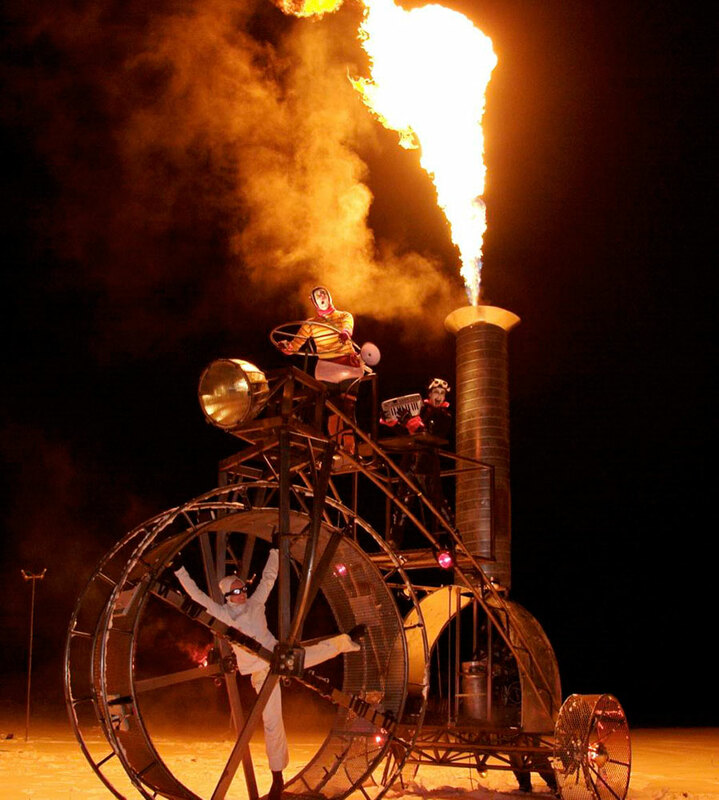 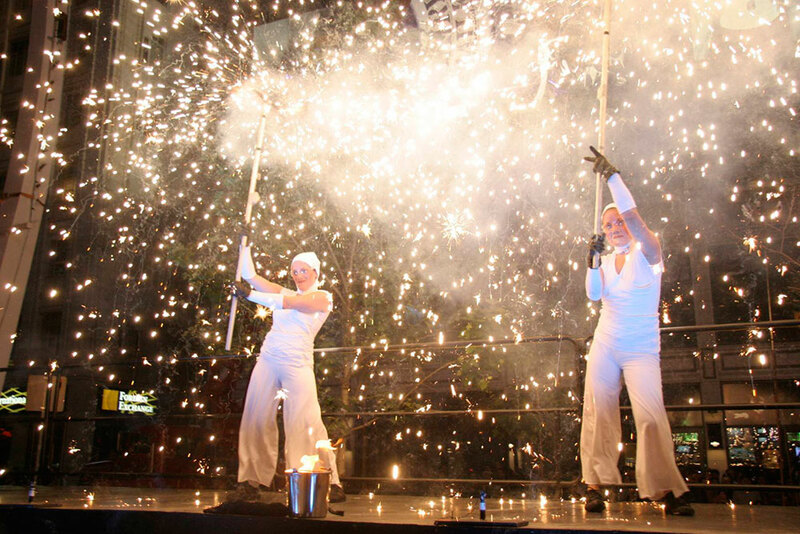 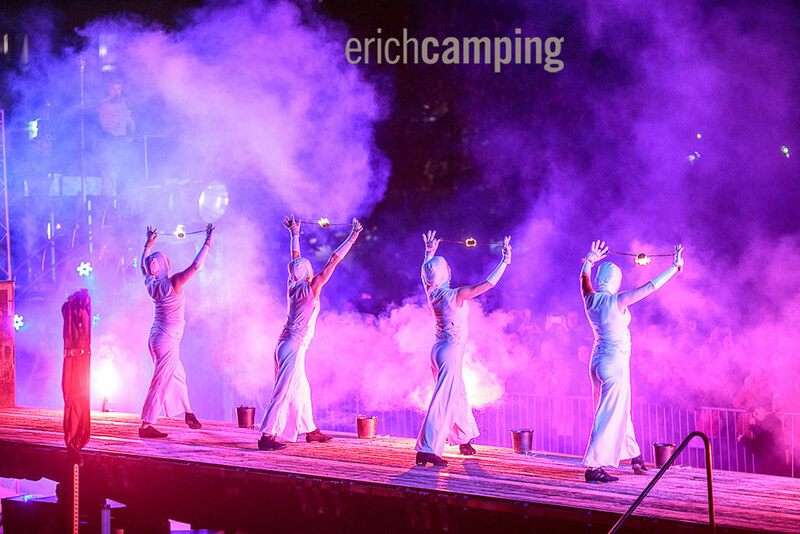 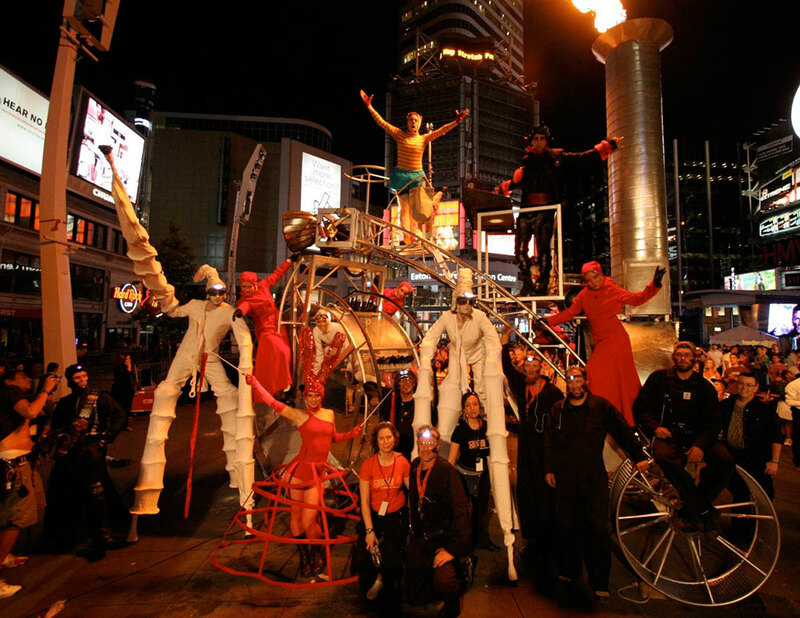 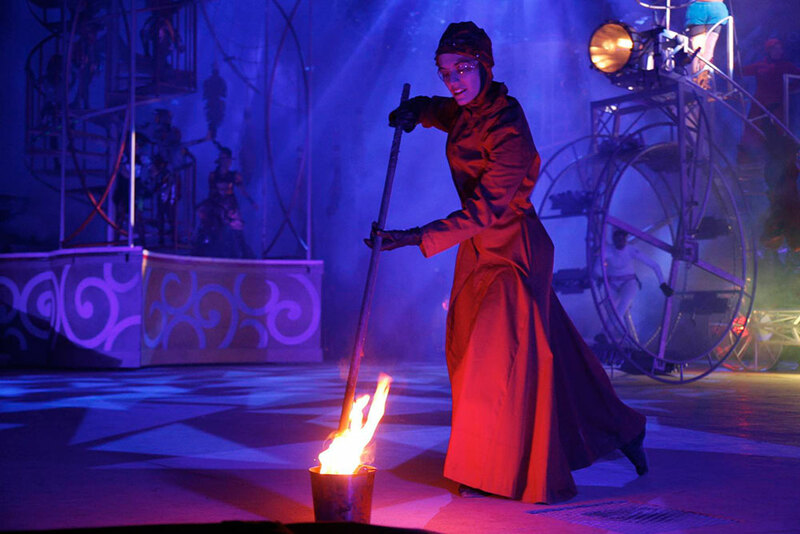 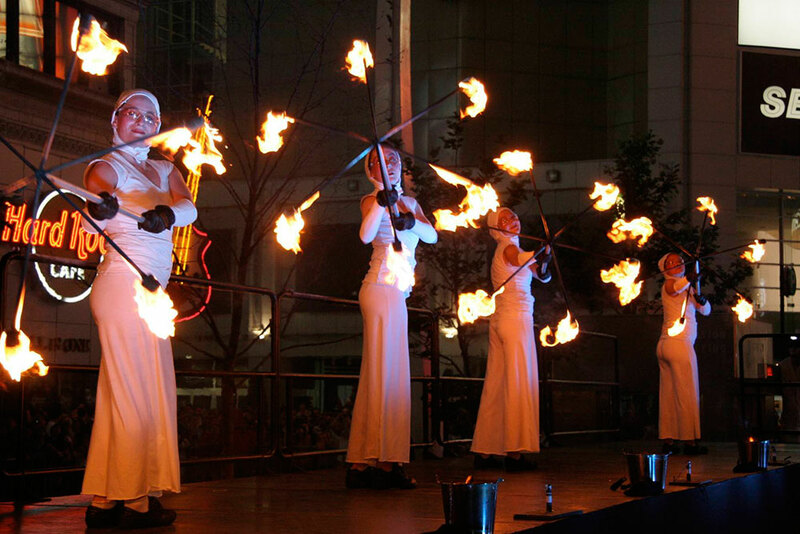 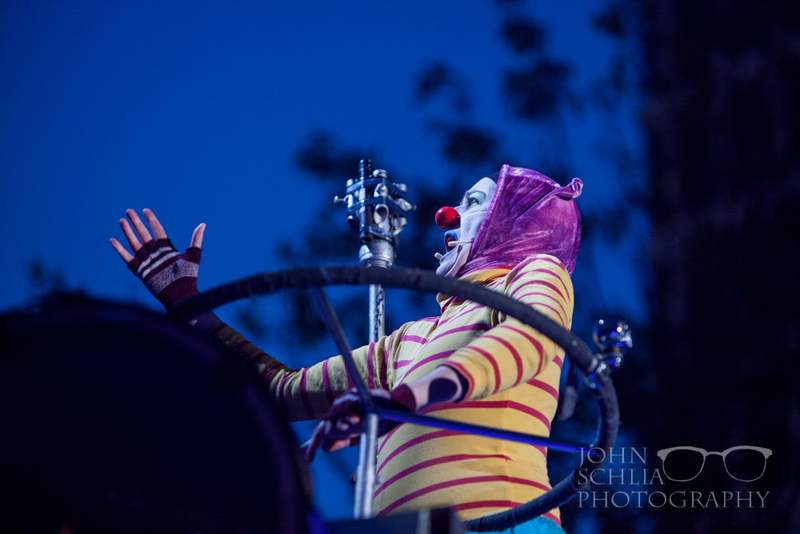 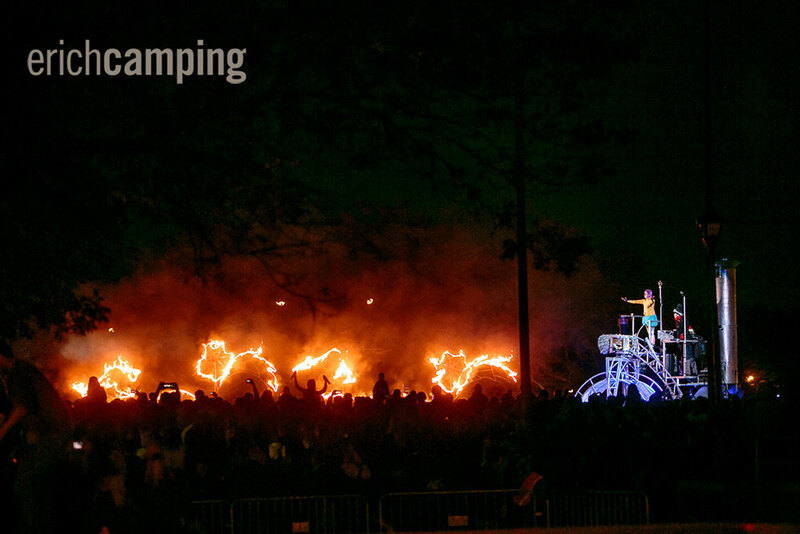 TRICYCLE is a dramatic fusion of live music, clown, circus, dance, aerial performance, mechanics, pyrotechnics and fire arts. 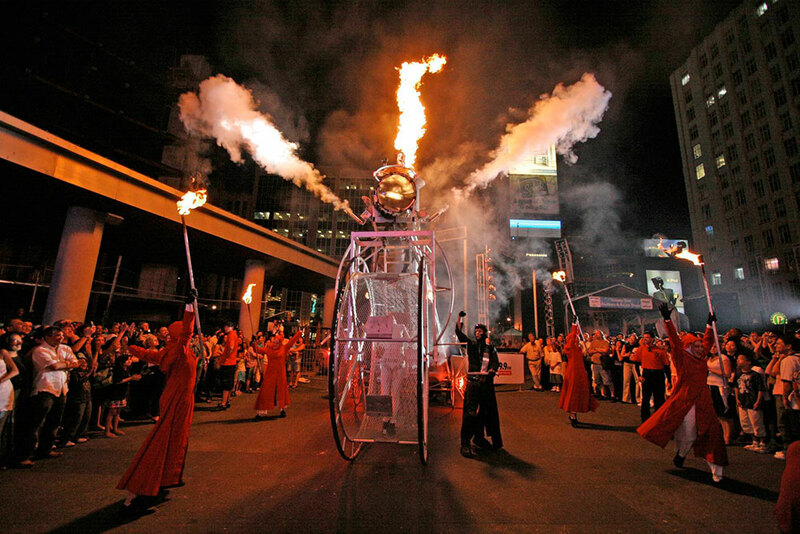 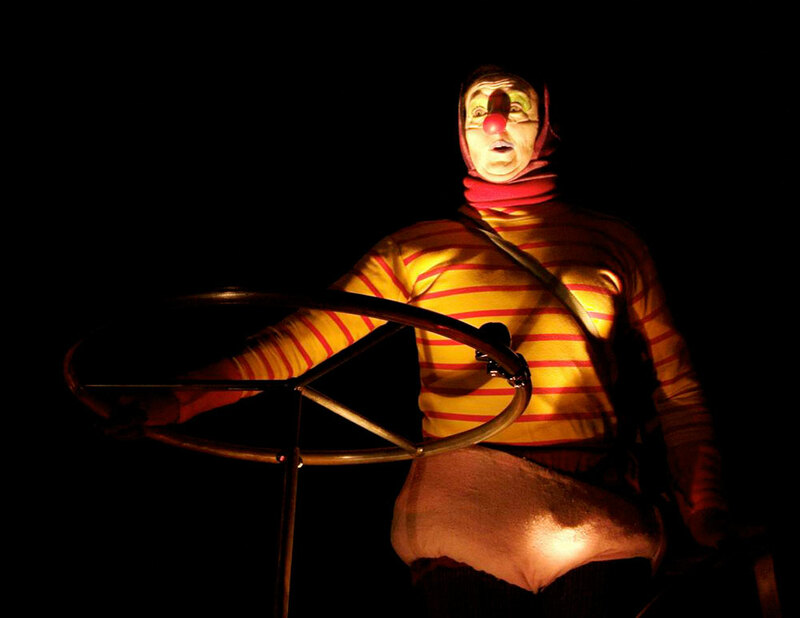 TRICYCLE is large-scale, roaming, spectacle street-theatre production where the action takes place everywhere. 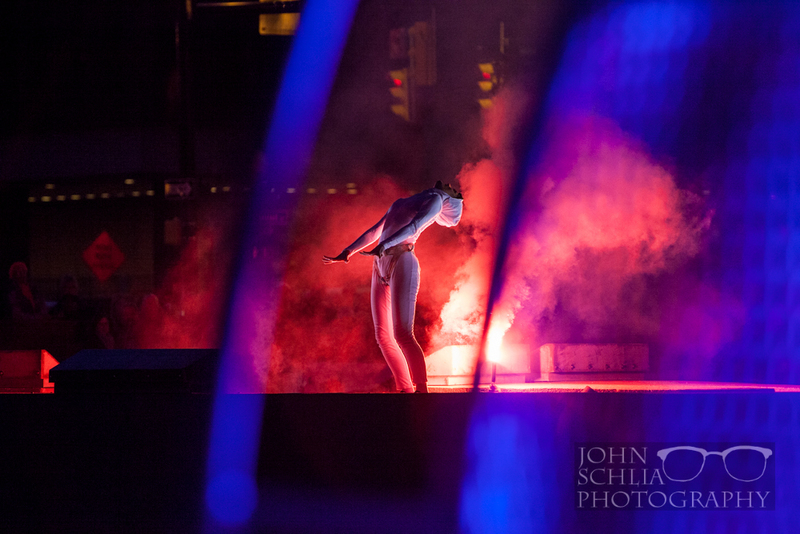 The lines between audience and performer are blurred as the show passes right through the crowd. 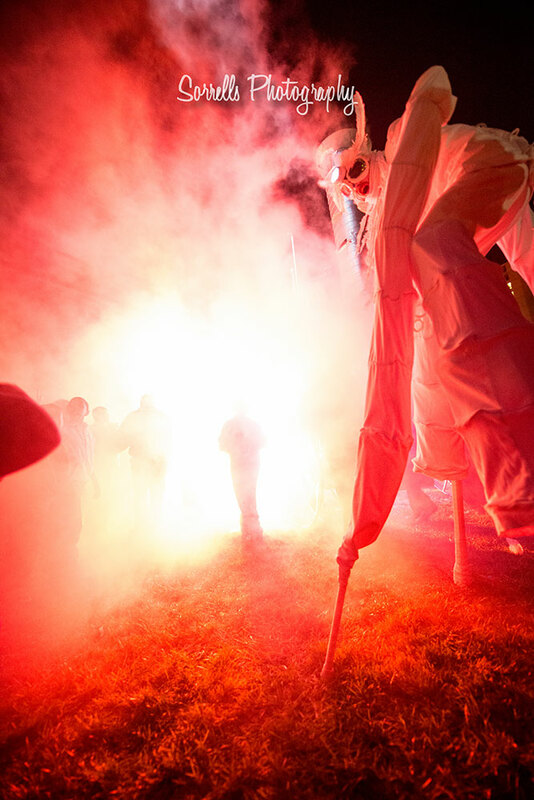 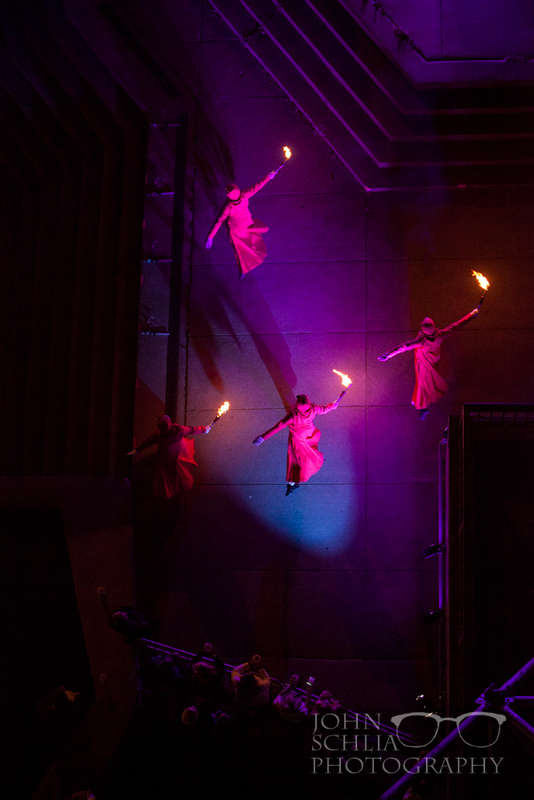 Improvised, ground-based interactions and stunts can take place anywhere with larger production numbers created at key stage areas. 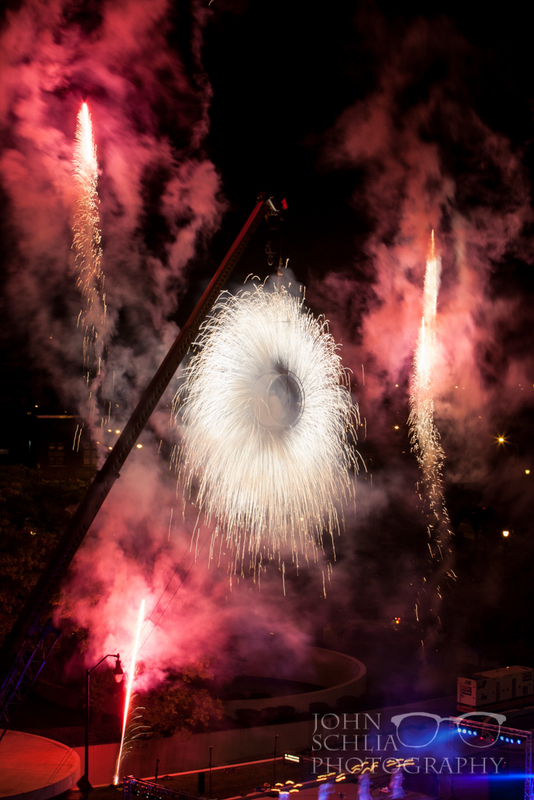 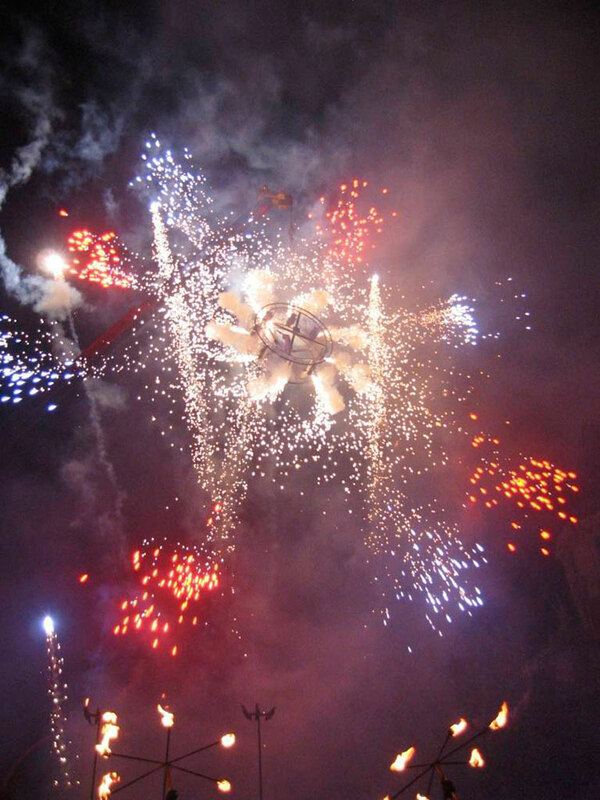 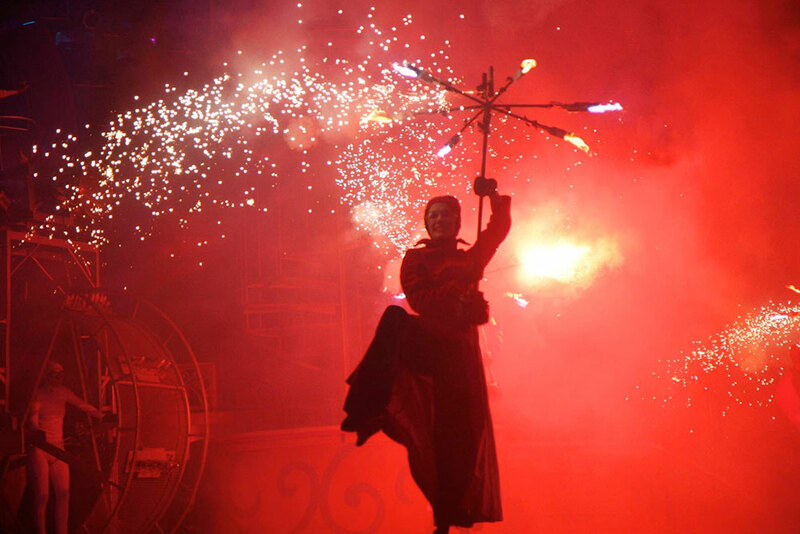 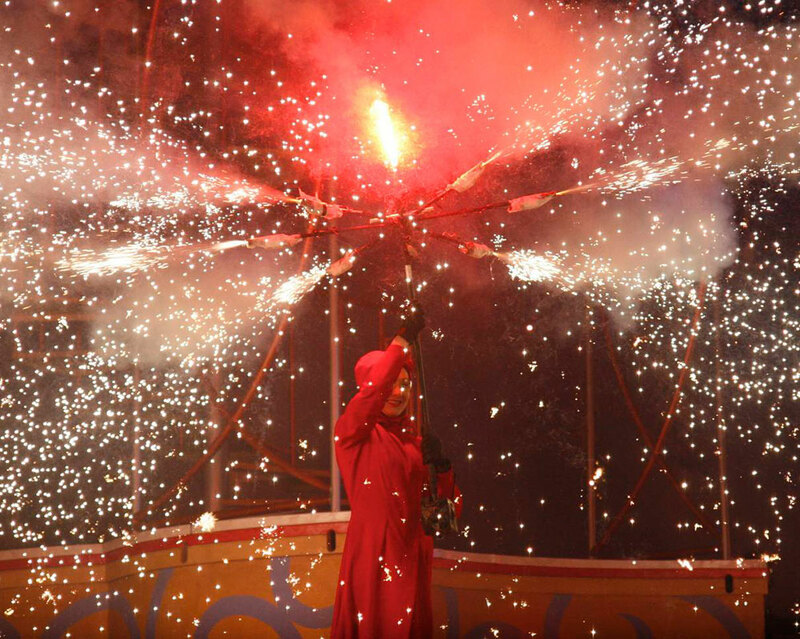 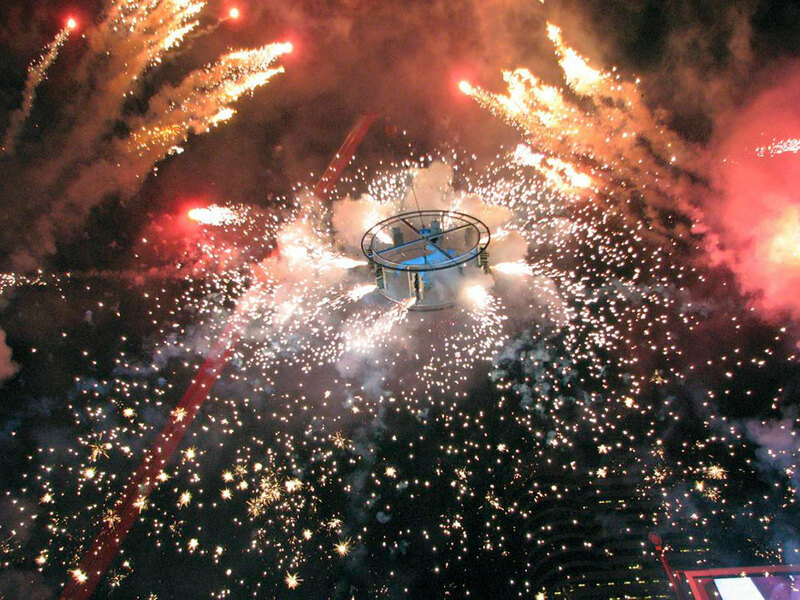 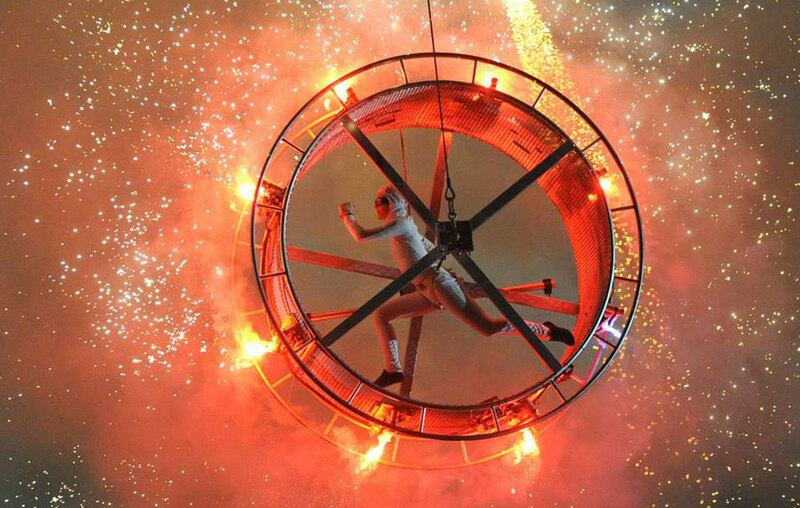 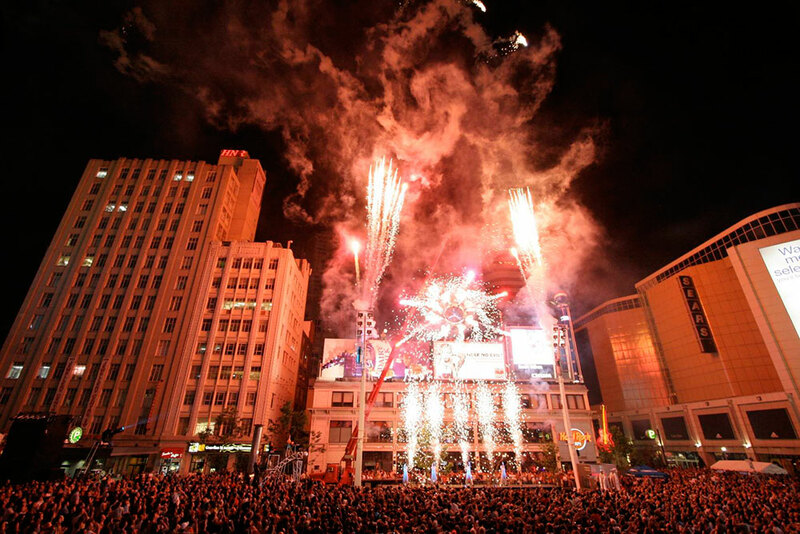 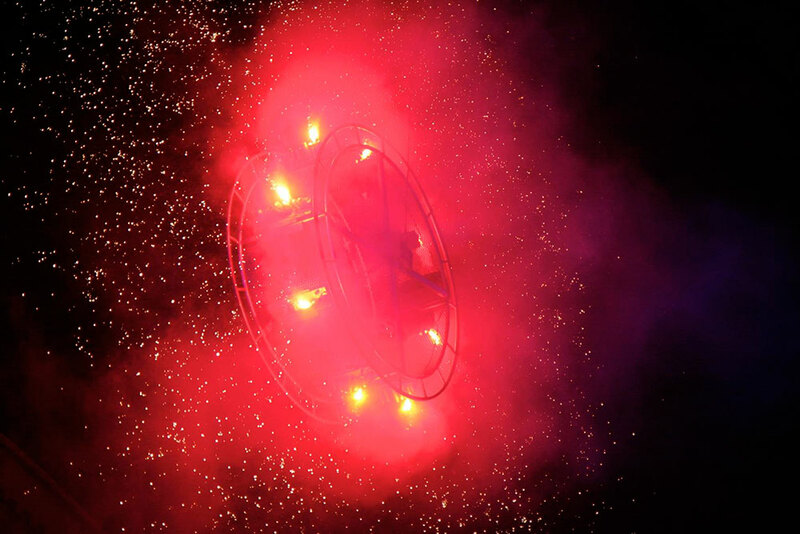 The finale is a pyro-fueled dance routine, a human-powered pyro wheel (the front wheel of the tricycle now suspended 60’ in the air) with a full-scale fireworks show taking place behind. 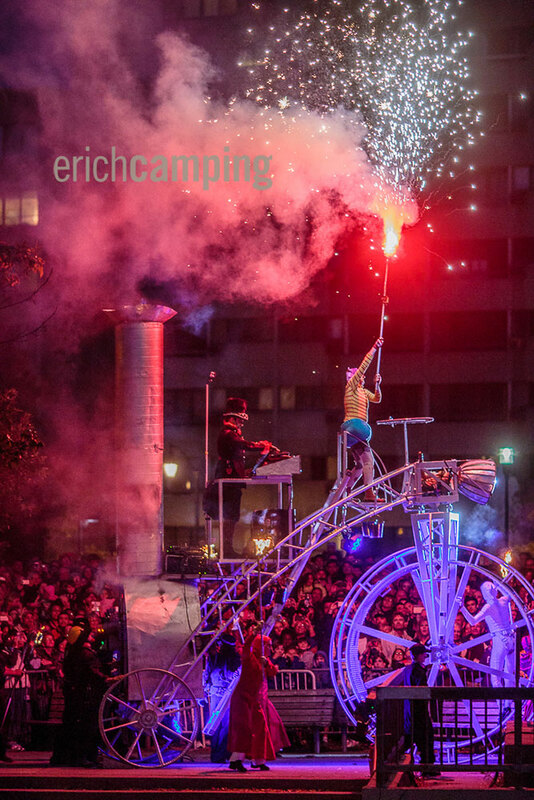 TRICYCLE is suitable for the following venues: Outdoor Festival Site, Large Park, City Square, Closed City Street(s) & Large Sports Arenas.